Is your Intel Bluetooth driver outdated or missing in your computer? If so, don’t worry, the driver can be updated quickly & easily. There are three ways you can use to update the driver. Just choose an easier way that works for you. Note if the driver is having problem, the device may be not recognized by Windows. In this case, check if there is Unknown Device listed under “Other devices”, which could be the bluetooth device. 3. Select search automatically for updated driver software. 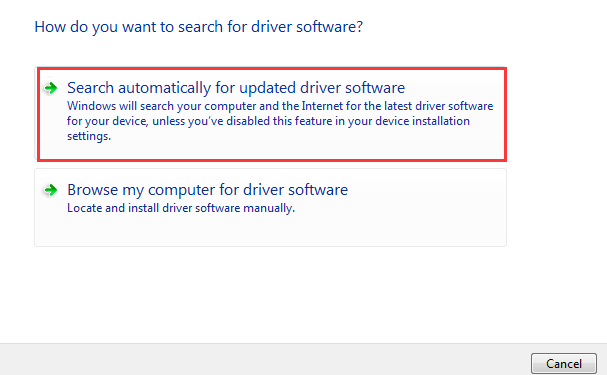 Then Windows will search and install the new driver automatically. If you are using a branded computer, go to the PC manufacturer’s website to check for the latest Intel Bluetooth driver. Before you get started, ensure that you know the PC model and the specific operating system (see How to Quickly Get Operating System Version). Intel keeps updating drivers on their website. You can download the latest bluetooth driver there. Click here to visit the bluetootooth driver download page. Download the right driver according to your operating system version. If Way 1 and Way 2 don’t work for you, you can use Driver Easy to update the driver automatically, which will save you much time and energy. Driver Easy can scan your computer and detect problem drivers, then provide you with new drivers. It has Free version and Professional version. With the Professional version, you can update all drivers with just one-click. Moreover, with the Professional version, you will enjoy free expert tech support guarantee. 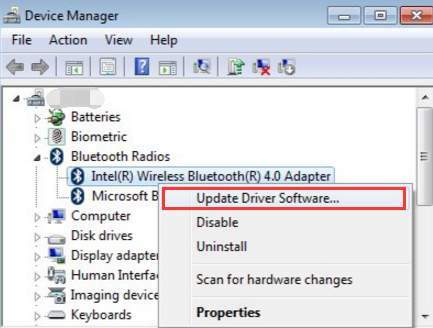 You can contact us for further assistance regarding any driver issues including the Intel bluetooth driver issue. And you will have 30-day money back guarantee. Just feel free to ask for a full refund if you are not satisfied with the product.